Editor’s note: Milwaukee Neighborhood News Service has not published the names of youth in the Vel R. Phillips Youth Detention Center in order to protect and respect the youths’ privacy. It’s Friday night, and two teenage girls are getting ready for their evening plans. They each put on a maroon crew neck sweatshirt to match their baggy khaki pants and slide on shiny black sandals over their gray socks. Neither is wearing makeup. Their hair is not styled. The girls open the large, teal metal doors and emerge from their concrete-floored rooms to greet their friend who is coming to hang out. Visitors are limited at the Vel R. Phillips Youth Detention Center, and friends aren’t typically allowed unless they are of a certain age and get special permission by a child’s case worker to be considered family who can visit at specified hours. The guest is Claudine O’Leary, not a peer, but rather a full-fledged adult. She’s a volunteer with cotton candy pink hair and a gentle smile who has worked professionally with vulnerable youth for more than 25 years and runs her own consulting business called Rethink Resources. Similar to all high school students that I have ever met, after saying hello, the girls quickly asked O’Leary if she had brought any snacks. The cream cinder block walls were largely empty, besides a few maps and lists of rules. A pile of Bibles sat stacked in the corner. An open Monopoly board sprawled out on one of the tables. In the center of the room a large desk towered where a correctional officer sat. Earlier that evening, she was playing board games with one of the girls. 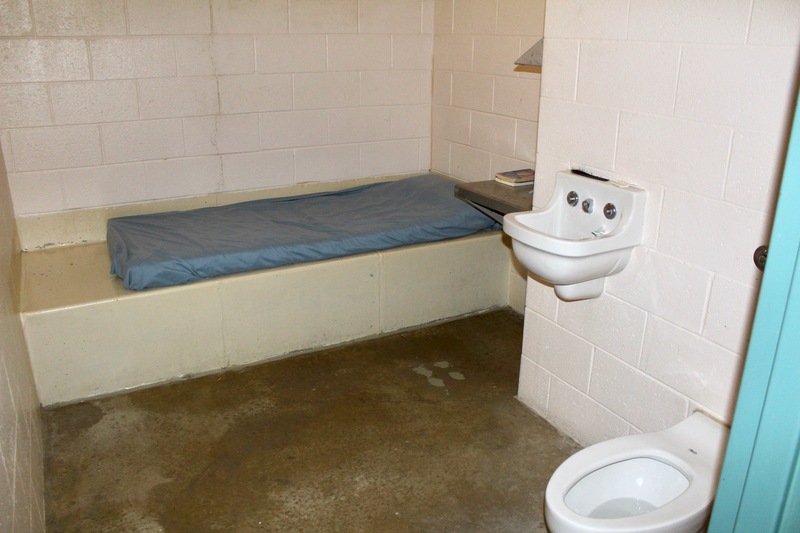 Girls stay in the detention center if the court determines that they pose a significant risk and need to be kept in custody before their court date for an alleged offense. They may also need to stay in detention if they are waiting for a spot in a residential placement to open up for them, or sometimes if the court determines that it is unsafe for them to go home. Each Friday night, O’Leary facilitates a girls’ group called Real Talk, and one week this winter, she invited me to join her. O’Leary said that many of the girls stay in detention for several weeks, and sometimes months. The Wauwatosa School District provides education, but otherwise programming is sparse. She said that numbers of youths in detention are lower in the winter months, when youths can more easily avoid police contact. O’Leary stays in contact with the girls after they leave detention and said she is often one of the most consistent sources of support in the girls’ lives as they move through the youth justice system and have changing case workers, judges and probation officers. She said she personally knows nearly all of the young women at Copper Lake youth prison, as well as girls who have been placed in group homes and residential treatment centers throughout the state, and sometimes out of state. One of the girls, who had recently celebrated her 16th birthday inside detention, showed me the few possessions she had in her room: a couple of romance novels and a slip of paper with O’Leary’s phone number on it. As I’ve been reporting on the pending changes to the youth justice system in Milwaukee as lawmakers plan to close Lincoln Hills and Copper Lake, I have become increasingly curious about what the youth in the system want to see changed. O’Leary said that to her knowledge, none of the young people in detention has been consulted in the reform process, and when she invited me to join her group, I jumped at the chance. Though the voices of these two girls, one 15 years old and the other 16, are not representative of all of Milwaukee’s youths in the system, they offer a glimpse into perspectives we don’t often hear, and I think it’s important to share them with you, our readers. 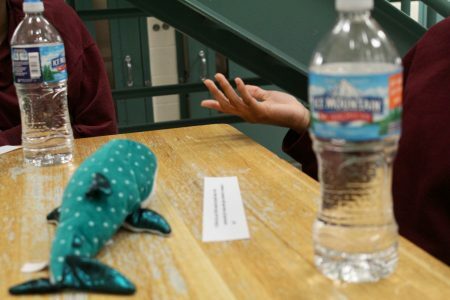 O’Leary facilitated a discussion, passing around a plush sea creature as a talking piece. /boo hoo…bring phones in, better soap, better food… how about you “children” stop creating victims and hurting innocent law abiding citizens. These “children” are treated just fine. They aren’t abused. I dare anyone of you “poor children lovers” to work a shift, teach a class, run a group…YOU would never make it. Yes, they are children but they are in these places for a reason. And people that visit to find a poor me story do you ever wonder if these “children” are lying? These poor “children”. Perhaps you shouldn’t do the crime? Dear Dawn: Thank you for your posting. How we wish it were that simple. But just like we gave a platform for these girls’ voices to be heard, we also have room for yours as well. The important thing is to keep reading. We can all learn from each other. WHEN i READ THE LINE “I think they should have a therapist here to talk to kids.” ii AM SHOCKED AND DISGUSTED. iF TRUE, THIS IS COMPLETELY BEYOND BELIEF AND ACCEPTABILITY. iT SAYS THE SYSTEM HAS ONLY ITS CLUMSY, DISPROVEN BIG STICKS, AND A CARROT PERHAPS NO ONE KNOW HOW TO USE. This is no way to bring these children back into community! I wish I knew the answer but the most relevant statement for me was the person who wanted to learn a skill that might lead to a job in the future. Providing intervention. basic life skill training, financial literacy, anger management. Oh if it were a perfect world, we could build this into detention. I also sympathize with victims as I have known many. Being close to a victim can cause trauma. Don’t forget senseless crime also changes the victim’s lives for the worse. I drove a friend to and from work 5 days a week for three years after their car was stolen and found trashed and they just did not have money to replace it for years. That made me understand about the working poor.